Is considered the “go-to for how-to” publication for the North American gaming industry. Casino Journal's People, Products and Solutions focus offers real-world solutions to changes facing casino resort operators in the fast-paced age of new technologies, competition and heightened customer expectations. By providing your email address you grant permission to contact you via email regarding your subscription and other products/services. **You will receive subscription and renewal notices from BNP Media via email. *By providing your fax number, you're giving BNP Media permission to fax to you. Would you like to receive subscription faxes sent by CJ/BNP Media? 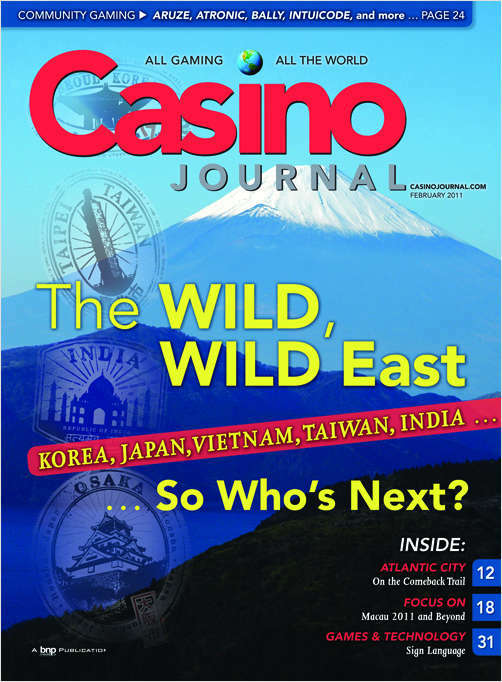 Do you wish to receive a FREE subscription to Casino Journal? What is your firm's primary business? In lieu of a signature, we require a unique identifier used only for subscription verification purposes. What is the first letter of your mother's maiden name?